This game is little bit hard and have lot of meringue blocks that you should break first by play more from bottom. 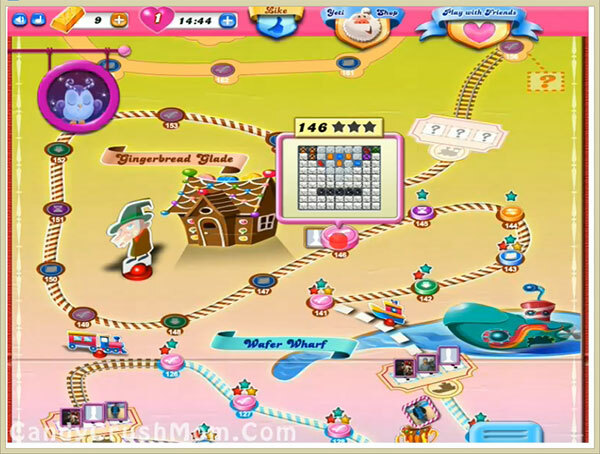 Then start to make striped candy and other special candy to combine each other to collect orders as fast as possible. You might need colorbomb that you could combine with striped candy to get three star core. We completed this level with 137760 score within 39 move by playing more from bottom and rest 11 moves converted to striped candy that help make three star score.